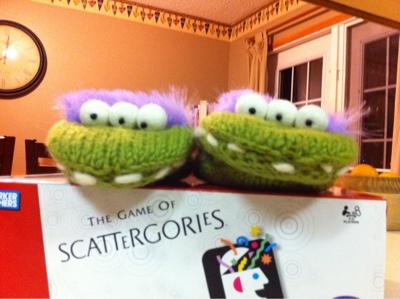 I downloaded blogger to my phone, and wanted to test it out :) These are my monster mitts I got for Christmas! Rudy and Rhody. I ❤ them!